There are a lot of things to do when you are moving into a new business premises, and one can easily feel overwhelmed. But even with all the tasks to do, one very important thing you should not forget is to inspect for pests in the new premises, and take the appropriate control measures if you identify any infestations, before moving in. If you’ve had pests before – either at home or at your business premises – you know how troublesome these invaders can be. They will bite, make a ruckus, contaminate things, spread diseases and damage property. Hence the need to take pest control measures before moving into your new premises. Reduced pest control expenses. If a pest infestation existed when the previous tenant occupied the premises, the number of pests would be significantly reduced as there won’t be much attracting them to the place in terms of food. Also, the absence of furniture and equipment will mean fewer places to hide for pests. These factors will cause a reduction in the pests’ population making them easier to control. Additionally, controlling pests before moving in will ensure that there are no items such as furniture to consider when deploying pest control solutions, which makes the job much easier. And because work hasn’t started at the new place yet, pest control can be done with no interruptions to work activities. Damage prevention. Eventually, even the tiniest infestation will balloon with time and get out of hand – pests usually multiply very fast. Once an infestation is full blown, the damage to property that will occur as a result will be significant and will cost quite a lot of money to fix. 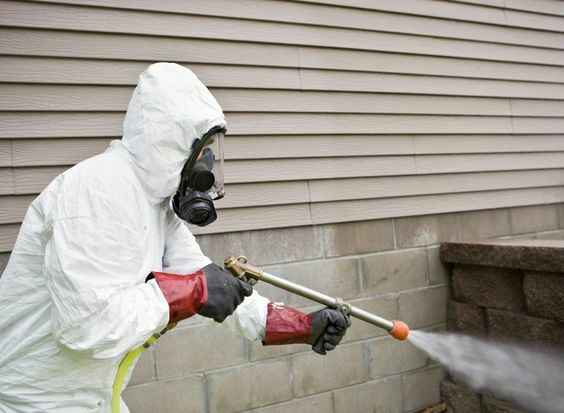 By fixing the pest problem in advance, you ensure there are no pests to damage your property. Health safety. As mentioned earlier, pests do spread diseases, and in some cases trigger allergies, which makes them a hazard to humans. For the safety of your workforce and that of your clients, it is important to ensure that all pests are eradicated before any work activities can begin at the new premises. Image protection. Customers are the cornerstone of every business. It is, therefore, imperative that clients or customers visiting your premises get the best experience. An encounter with pests could damage your image to current and potential customers which would, in turn, hurt your bottom line. Controlling pests before the move to a new premises will spare you these embracing moments. Inspect the premises you want to move into thoroughly for any signs of pests. If you find any signs, ensure to take the appropriate pest control measures to get rid of the pest before you move in. It might take some time and effort to eradicate pests from your new business premises before moving in, but the benefits you will get from doing it are worth the trouble.